Simms Contender Insulated Bib in combination with the Simms Contender Insulated Jacket make a storm fighting duo whether your on the high seas or running down the North Platte River in a drift boat. 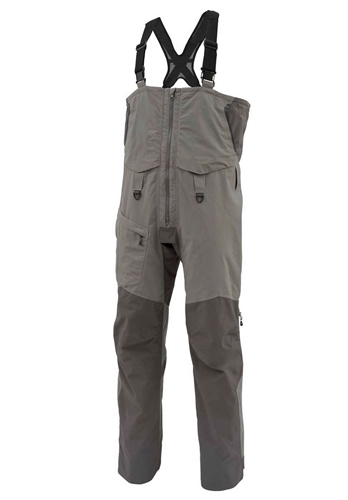 The Bib features a breathable gore tex perfomance pro shell fabric that is both wind and water proof, two micro fleece lined hand warming pockets on the chest, one thigh high cargo pocket and cordura pocket for a plier, padded suspenders for all day fishing comfort, a YKK Aquaguard Vislon center zipper for easy on and off and quick relief, and a cut out hem with corudra overlay for extra durability. Very good membrane. It perfectly protects against rain and wind. An excellent alternative to more expensive models. I recommend!